August 5th 2001 was Beanie Bopper Giveaway day at Yankee Stadium. 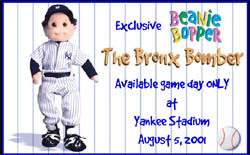 When the stadium gates opened at 11am the first 18,000 children under the age of 14 were given a Bronx Bomber Beanie Bopper! Wow whata name! 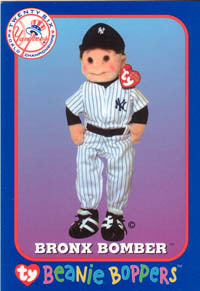 This was the first boy Bopper to ever be released by Ty! Each Bopper was accompanied by a Collectors Card. 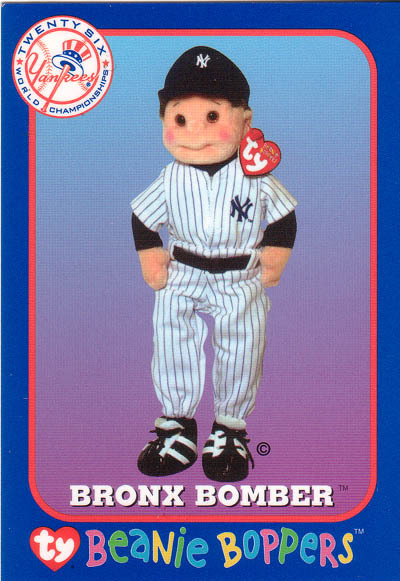 Bronx Bomber was first announced on the Ty website on August 3, 2001 and then to much surprise he was retired quickly on August 7th! 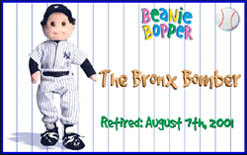 This makes this Bopper very rare, it appears that it will never be available to the general public through retailers. 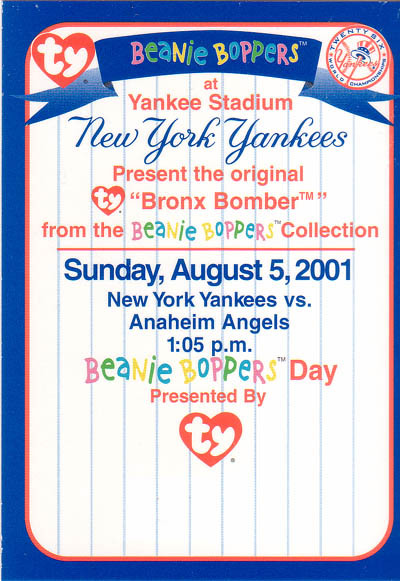 One of these cards was given with each Bopper! 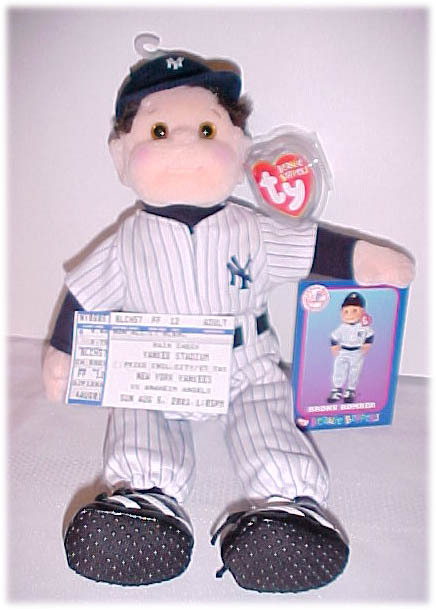 Click image for a larger view! 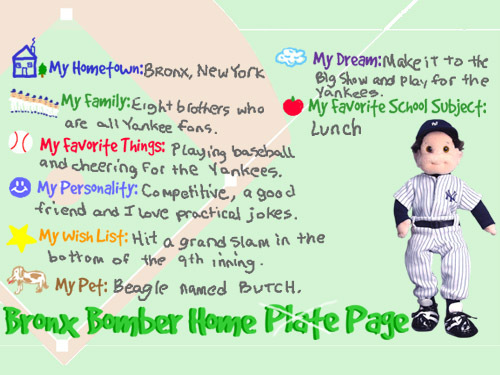 On Ty's website the following Bio is for the Bronx Bomber! Click on image for a larger picture!